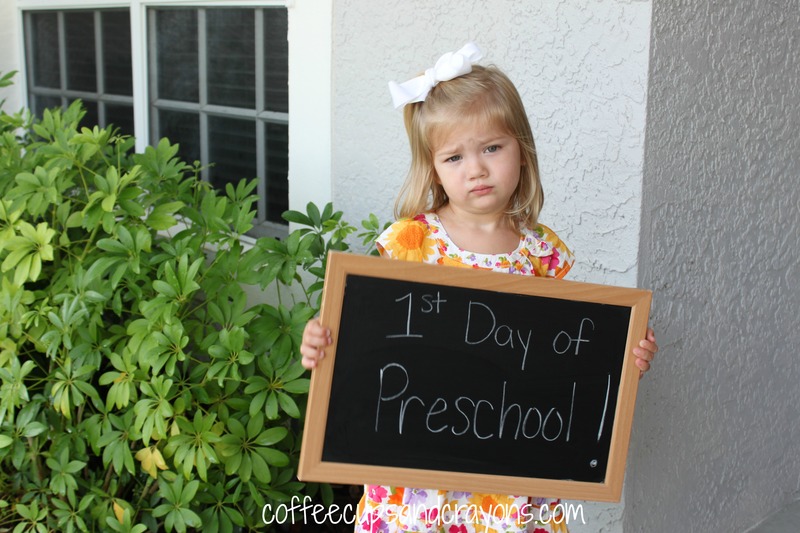 First Day of School: Photos and Emotions! 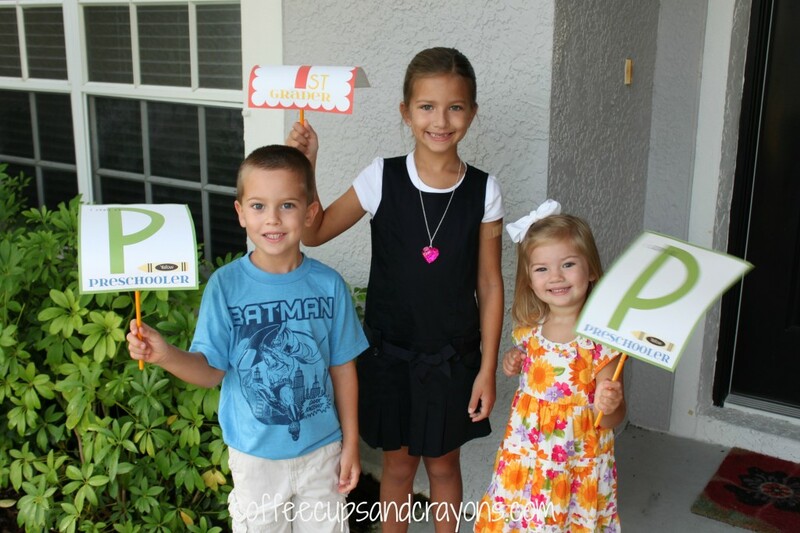 All three of the kiddos started school last week! My oldest had been waiting all summer and was so excited to finally be a first grader. First grader sounds so crazy to me. 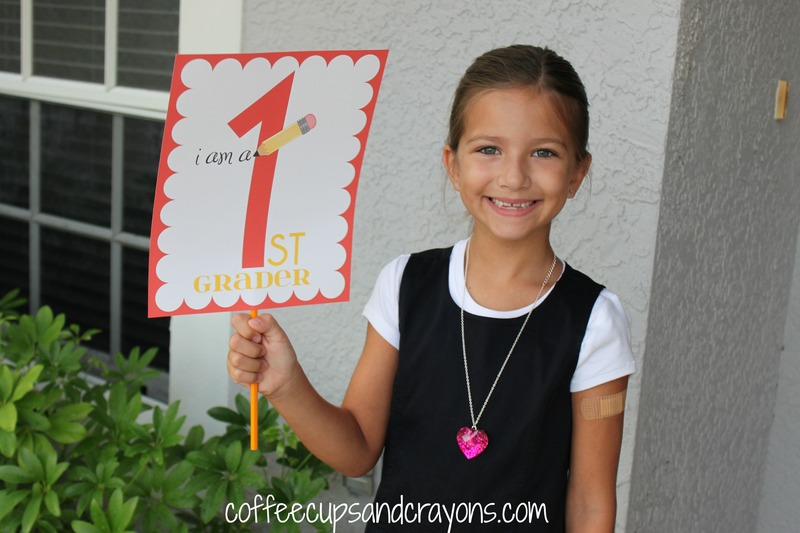 On one hand she is more than ready for this chapter, but on the other I’m not even ready for her to be in kindergarten yet, much less first grade! The elementary kids start an hour before the preschoolers, but I could not pass up an opportunity for a group shot! All the cuties with their brand new backpacks! The 4 year old gets to go to school everyday this year and could not be more thrilled! In FL PreK 4 is paid for by the state and all 4 year olds get to attend for 15 hours/week at no charge. He is starting a new school this year, at a church very close to our house, and we are all so excited for him. It’s going to be a fantastic year! 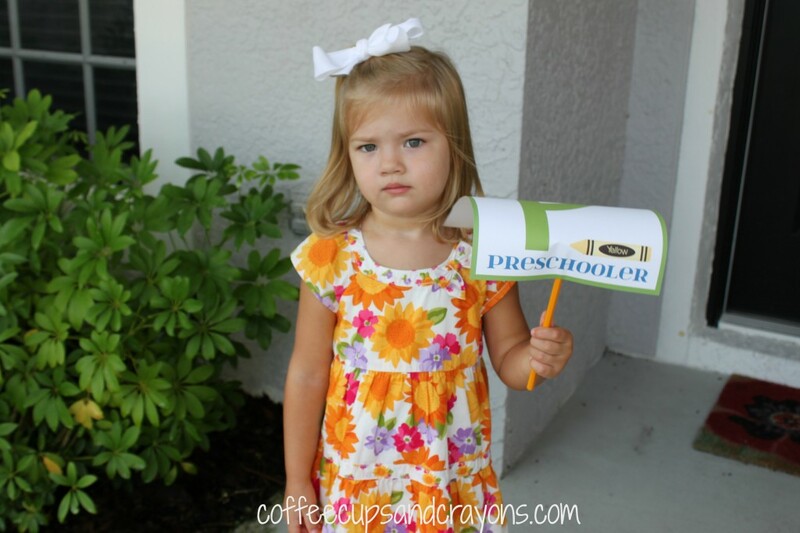 She told us she didn’t want to go to school anymore and that she already had enough toys and friends. We let her talk out her feelings and verbally rehearsed what would happen so she knew what to expect. We had been doing this for days–including on the day we went in to meet her new teacher. We spoke with her teacher and made a plan as to exactly how drop-off would go so that it would be as stress-free (as possible) for all. As we talked over the events, which by now were very familiar to her, she began to relax. However, it wasn’t until we were in the car driving there that she broke into a huge smile and announced, “Ms. Corley (her teacher) loves me!” After that you could just see her confidence grow. In her smile. In her walk. In the way that she became a big kid before our very eyes. These steps to independence are our “bonuses” as parents. It’s the tangible proof that we are indeed doing our job of preparing them to go out and make their way in the world…even if all we want to do is keep them little and with us forever! 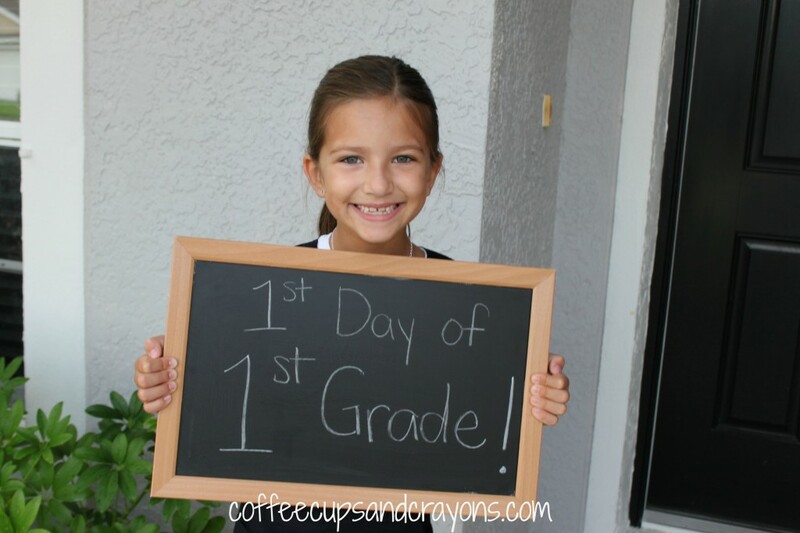 Now back to those super cute First Day of School signs! 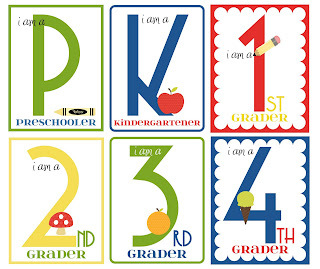 Click on the picture below to visit Sugar Tot Designs where you can download the entire Preschool-12th Grade collection. LOVE IT!!!! SO precious!!!! Treasure the memories, My dear!!!! What a great way to take photos. 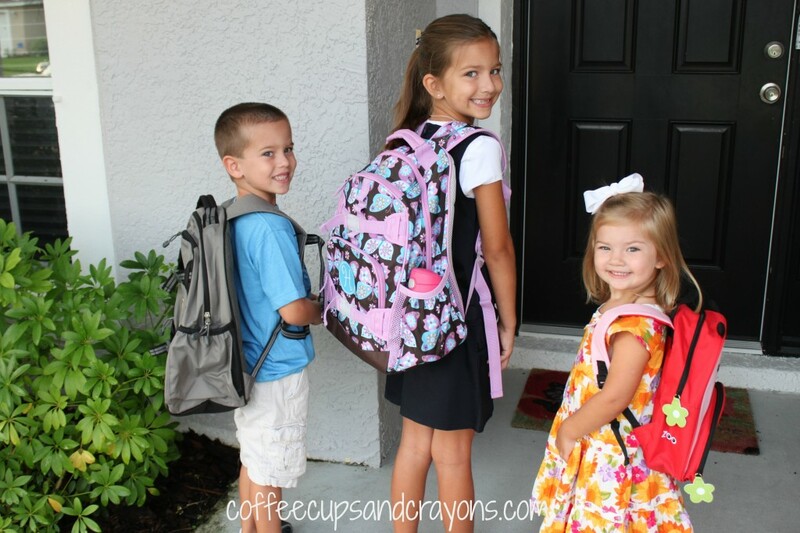 You’re kids look pretty excited to go back to school. That’s kind of an amazing classroom door the teachers put together. Thanks for linking up to After School. Hope to see you next week, too! Thanks!!! 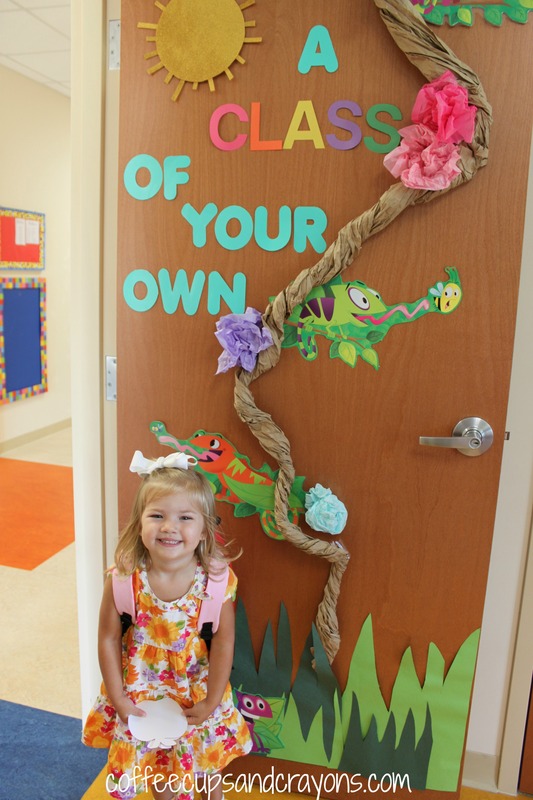 All of the preschool doors and classrooms were crazy cool! The teachers’ wish list in my son’s room was written on little monkeys that were clipped to paper vines hanging from the ceiling! Megan- Seriously- your kids are GORGEOUS. What a nice post for them- makes me feel bad about not doing the same! haha! Thanks! They now expect me to be camera crazy at all events and tolerate it *fairly* well! 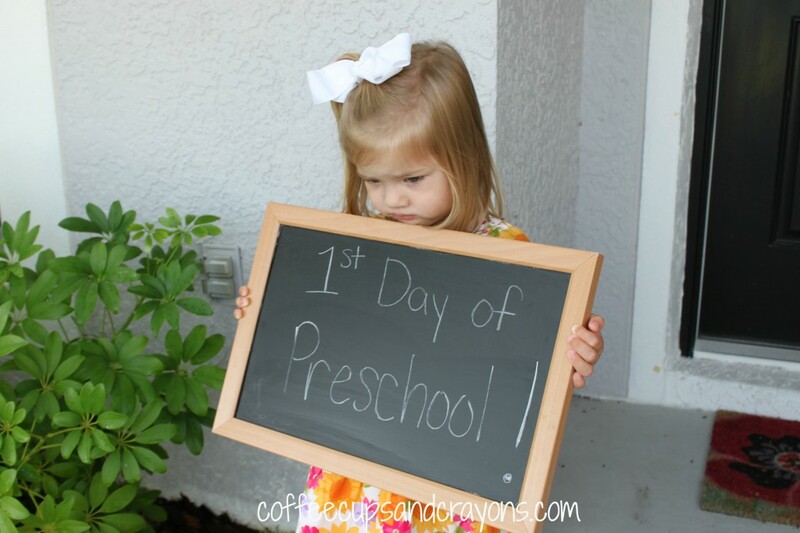 I bought the chalkboard last year for my daughter’s 1st day of kindergarten but wasn’t able to use it. I kept trying to write on it with chalk, but it wouldn’t work. I was bummed and contacted the company to get my money back. They told me just to keep it so they didn’t have to pay return shipping on something that was defective. It was really someone who was defective–me! There was a plastic protector on the chalk board I never took off! Oops! Luckily for me I figured it out before the last day of school! Ha! We have a first grader at our house too! Thanks for linking up to the afterschool Party. 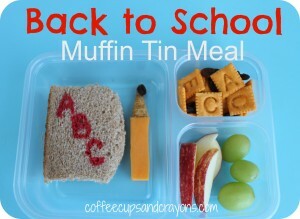 I can’t wait to see all the activities and adventures our children experience this school year After School. Hope you littlest one was full of smiles by the end of the week. Love the signs! Will have to remember for next year. Hope to see you next week! They all came home having a great first day! 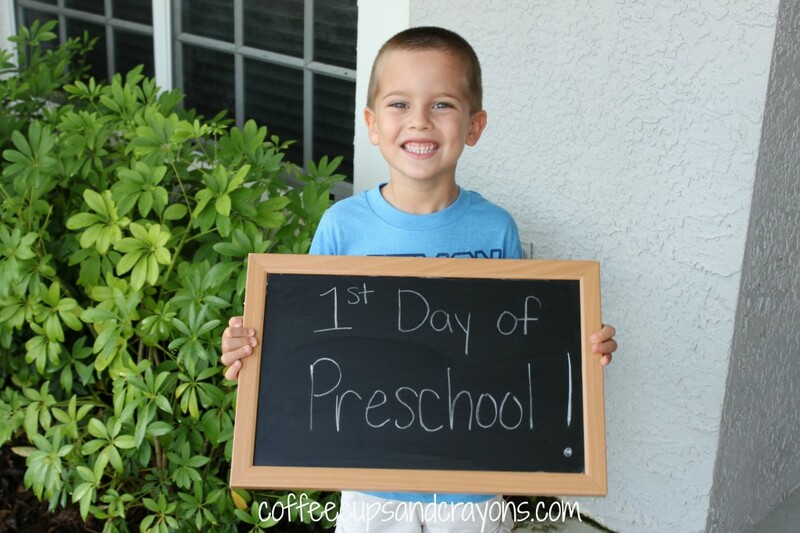 Hope your first grader did too!!! 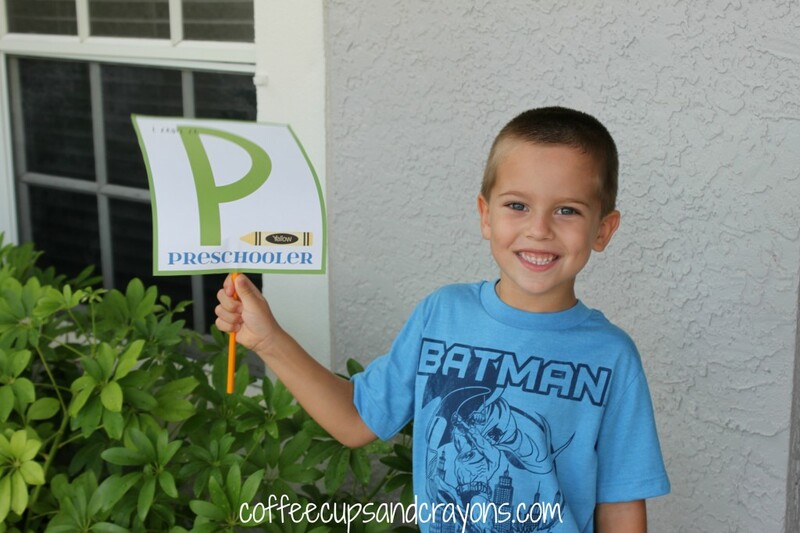 Please email me the signs for the starting school. If you click on the photo of the signs at the end of the post it will take you to the site where you can download them! Enjoy!